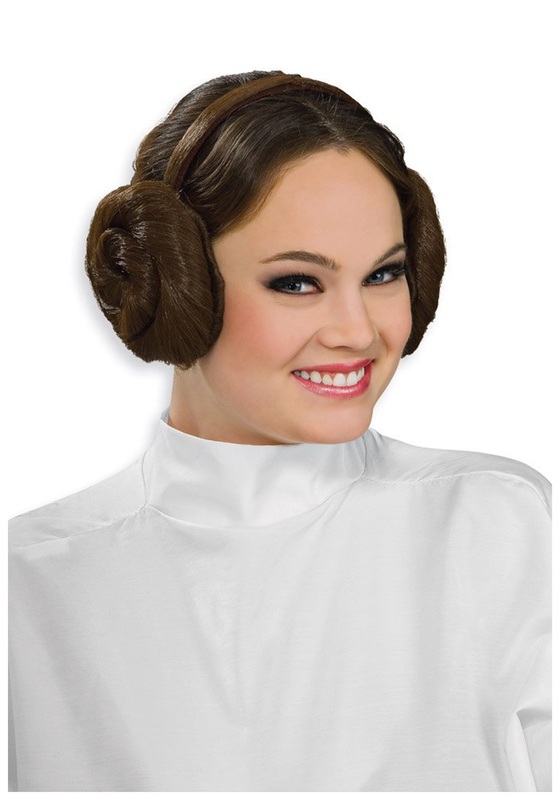 If you asked someone (literally anyone, try it) to name the most iconic hairstyle from American cinema, undoubtedly (and by a wide margin) you would hear the response: Princess Leia’s bun hairdo. Pay tribute to Carrie Fisher (RIP) with this unforgettably distinct style and leave no question as to your who you’re imitating this Halloween. By now, women have finally become synonymous with powerful sci-fi and fantasy roles (who doesn’t love Katniss and her iconic braid? ), but we can’t all forget the character (and hairdo) that paved the way. Leia looked up at Darth Vader and insulted him to his face, even after he blew up her home planet right in front of her minutes before. She led an invasion force onto the Forest Moon of Endor to help topple the Empire, despite the enormous odds against her. Even more recently, Leia, now a General, directed an attack on the Starkiller base. Whew. That’s a lot of accomplishments for one character. With this Princess Leia Bun Headpiece, you can channel that same bold leadership style, courageous decision making, and powerful sense of moral purpose and look timeless, while you’re at it.